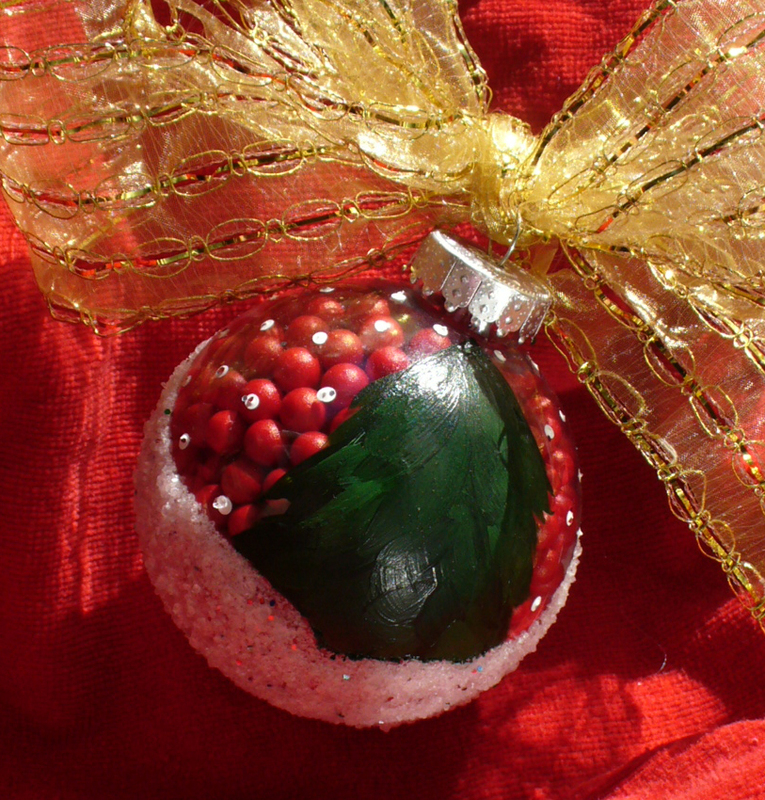 Part of my DIY Christmas Ornament making project of 2011 involved making these lovely, hand painted – Bob Ross inspired, winter tree ornaments. 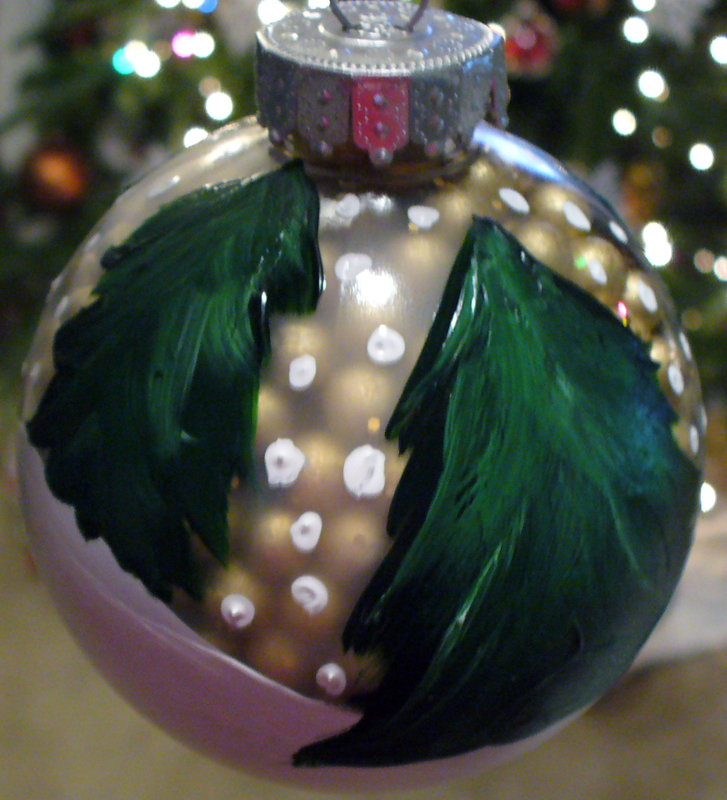 Basic shatterproof clear ornaments and some acrylic paint were all that were really used in the making of these ornaments. 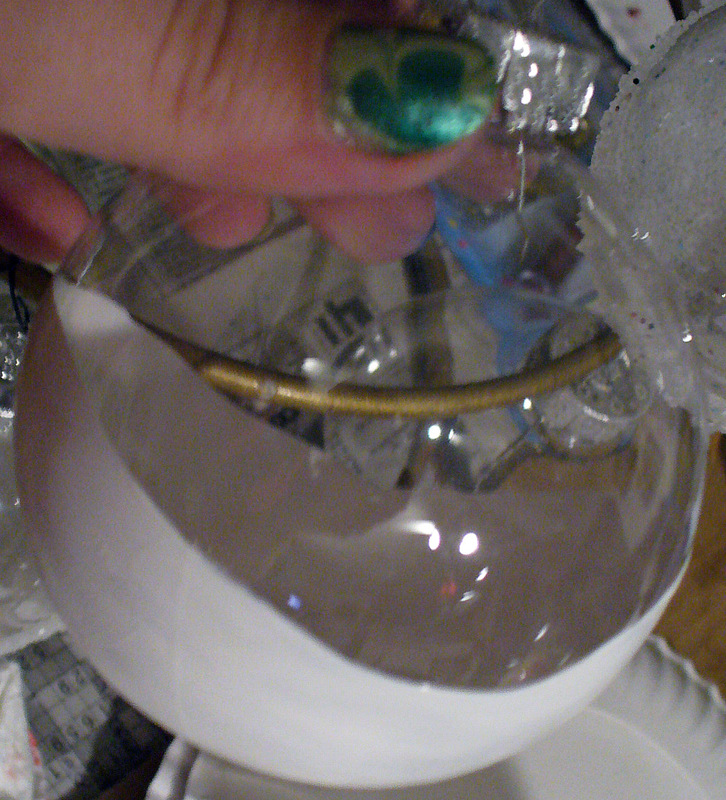 To take them a little further, I filled them with more of the Styrofoam painted vase beads, and decorated the outside of some with lavender Epsom salts for texture and to keep the bugs out! 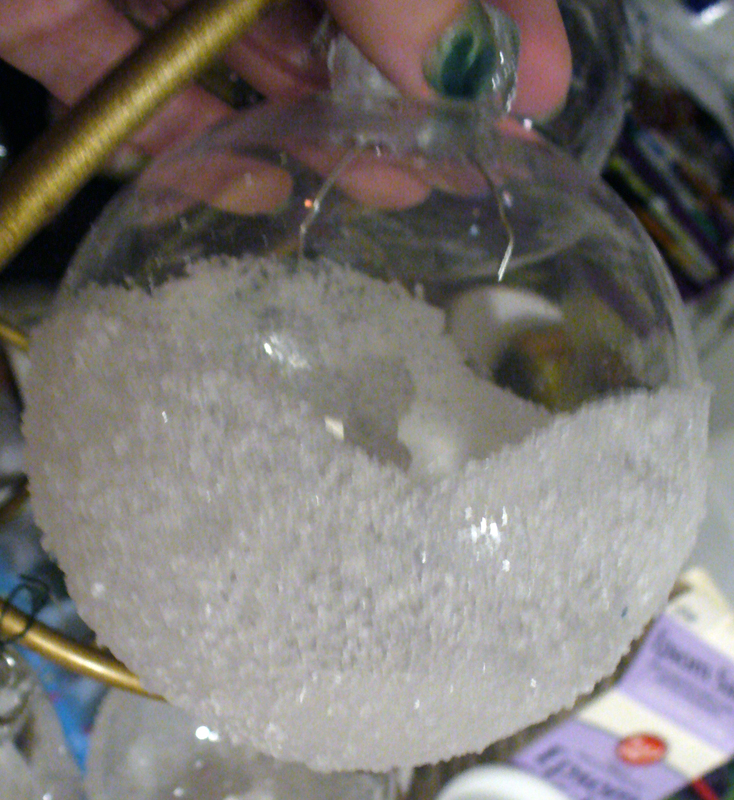 Paint the snow base first, let dry. Repeat if more coats necessary. 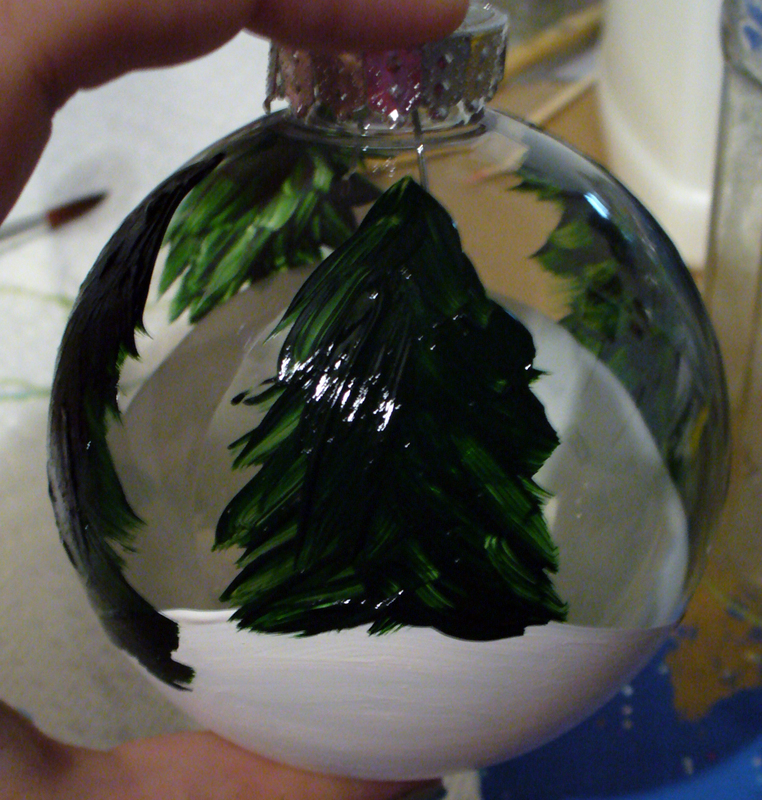 Paint the first layer of the trees, you will need to go back to re-layer the paint. Repeat layers letting dry completely in between. 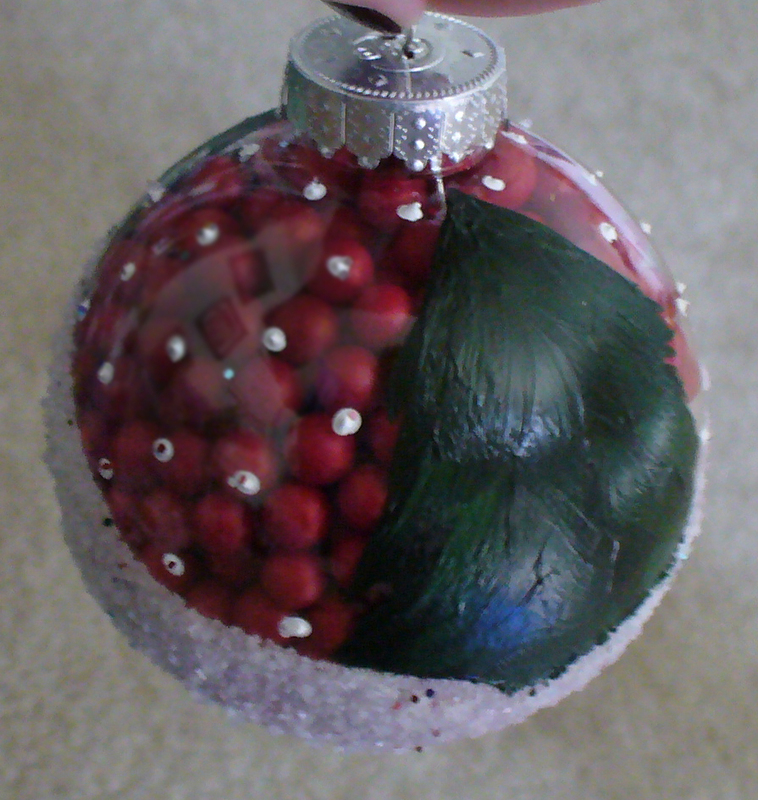 I used old jars from tomato sauce or jelly to let the ornaments dry on. 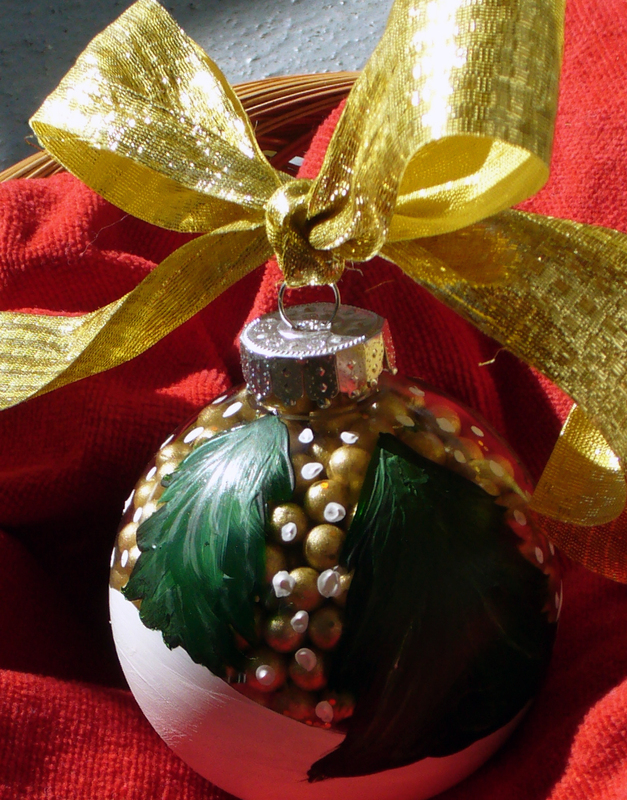 Apply clear gloss spray paint coating to finished ornament to seal in the painting. 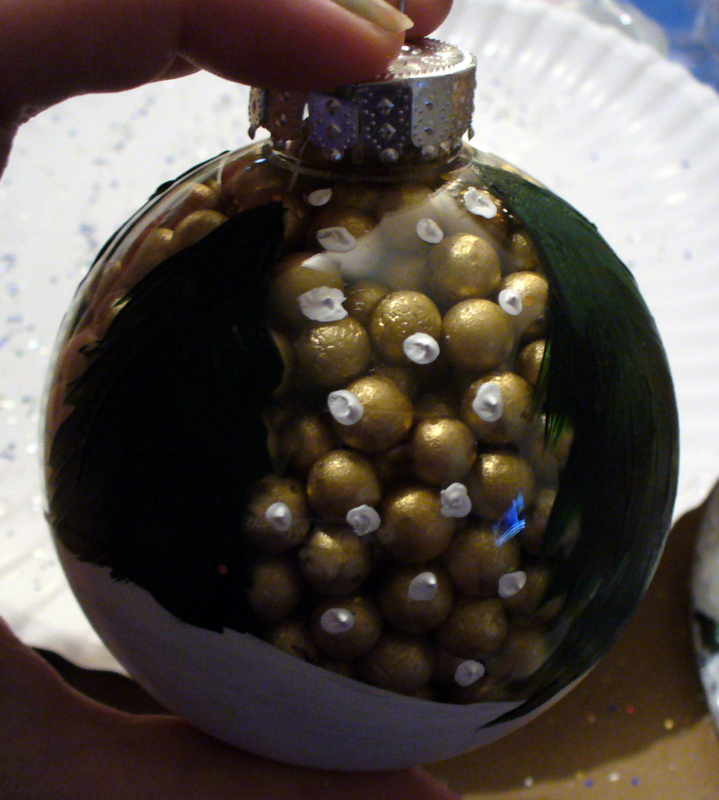 I am very proud of these ornaments, making them myself was so much fun, and really look nice on the tree. 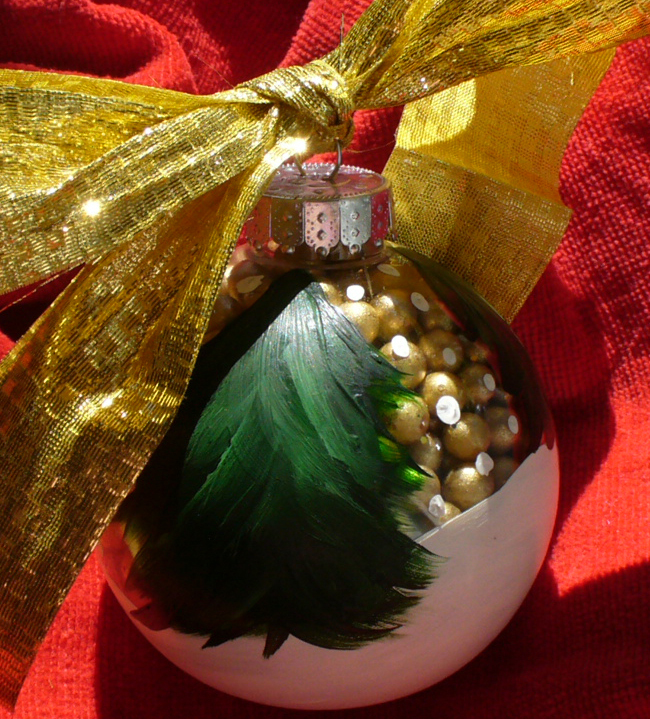 I will be posting more DIY ornaments I made this year soon! 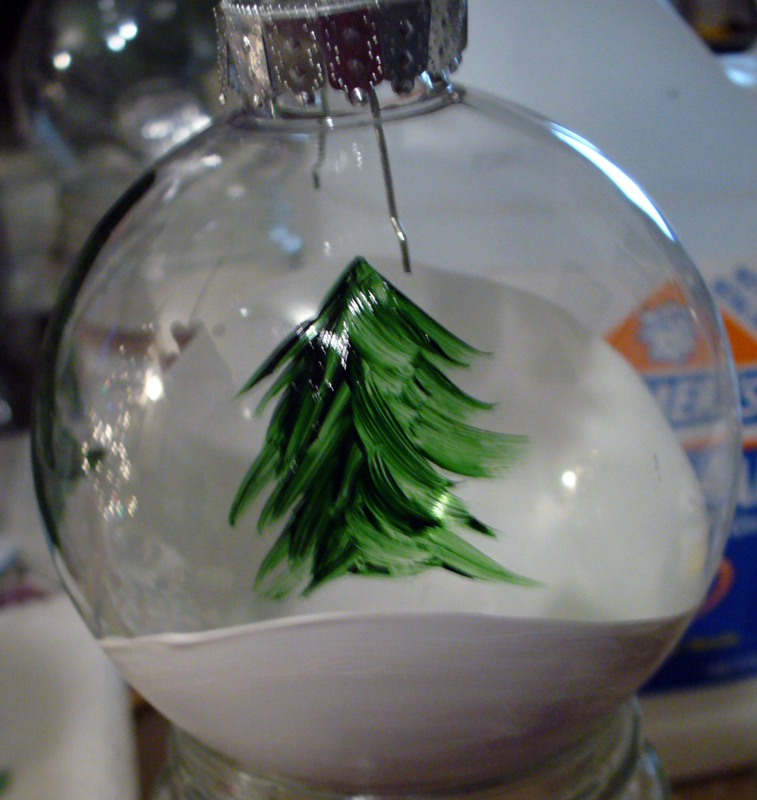 Just basic acrylic paint from the craft store.